Whistles is getting very ambitious for our purchasing pleasure, the British high-street brand expanded both its repertoire and its aesthetic, introducing a variety of evening looks and a surplus of layers challenged garments on the other at their first on-schedule fashion presentation, during London fashion week. 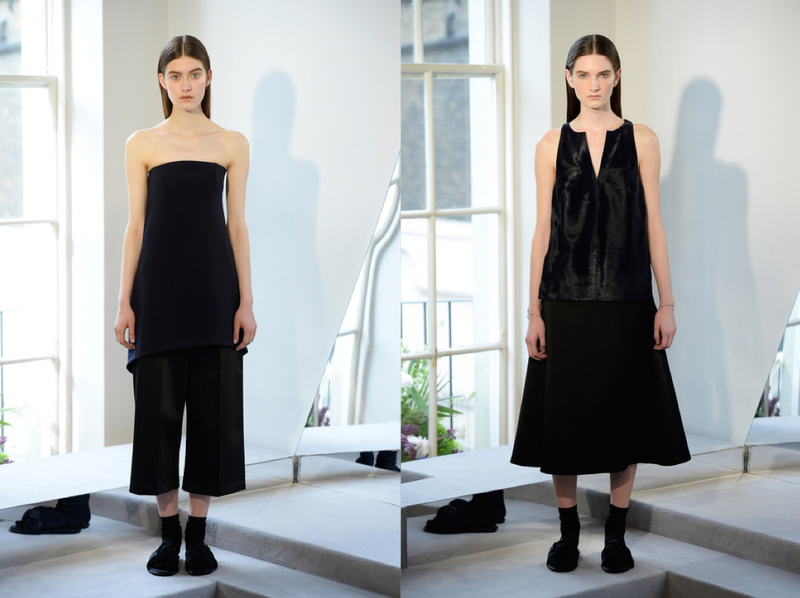 The evening looks were genius, in fact if a brand has the ability to identify an untapped niche and then perfectly fill it, then you have to give Whistles credit for noticing the demand for a well-priced take on minimalist evening wear. 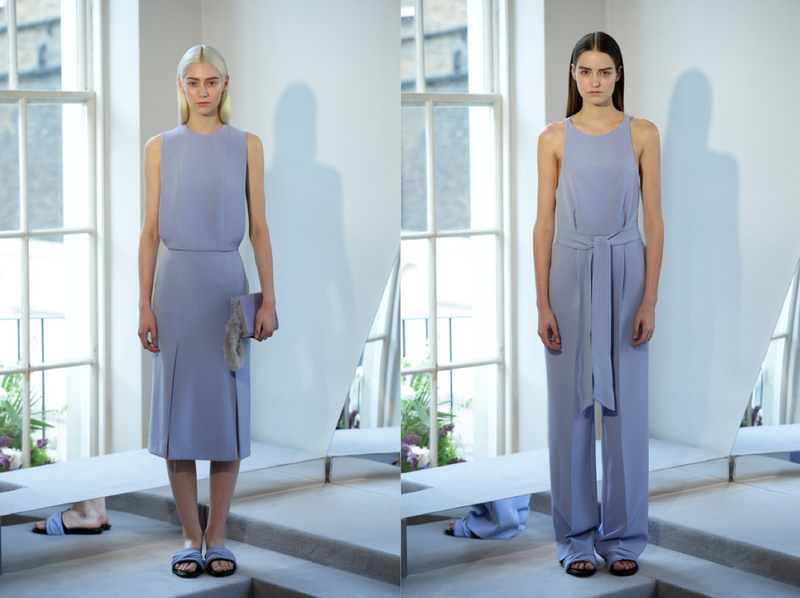 There’s a sartorial woman who would like to dress up with a touch of effortless sophistication, and Whistles lavender trousers with intricate detailing paired with the oversize calf-hair top will suit her while evoking comfortable luxury. The all black silk ensembles were a few of my personal favorites teamed with the socks and fuzzy slip-on sandals, clever styling to say the least. 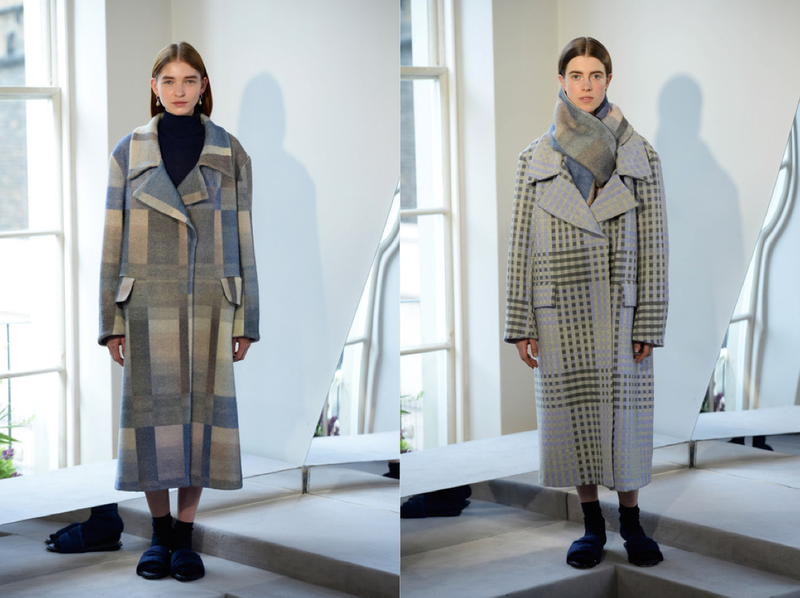 Amongst the day looks, prints, specifically the blanket checkered pattern that was elaborated in coats of mohair and jacquard, and as cool silk prints. Shown together in full looks was a bit overwhelming and worked well for a fashion presentation, but I’m sure that most Whistles customers would like to mix and match these pieces with other stuff. 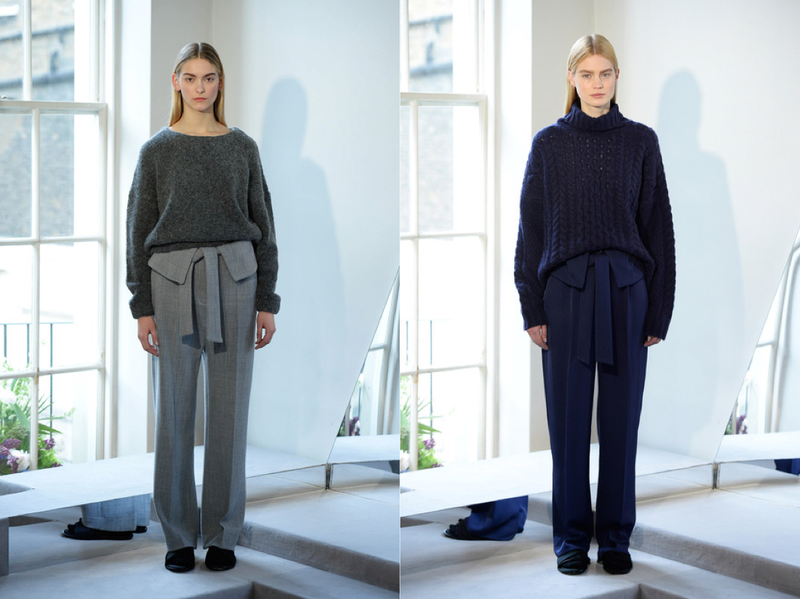 Elsewhere, being that the knits are a killer category for the brand and their slouchy trousers with folded detailing over the waist. There’s no denying the effortless feeling that the Whistles woman must feel when wearing the polished, minimal clothes that are relatively affordable. This collection is nothing short of the bane of the sartorial woman’s existence come next fall and is leading the charge in accessible, high quality on trend fashion that speaks to more customers than many designer collections do.